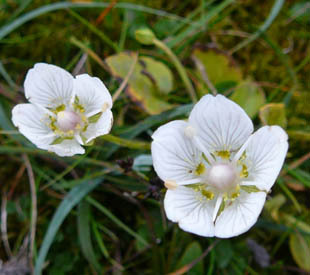 water comes to the surface in acid grassland (flushes). 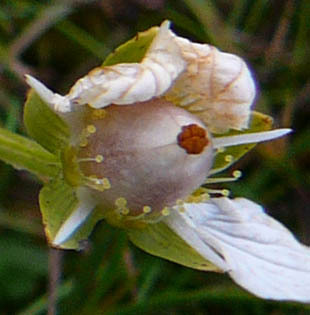 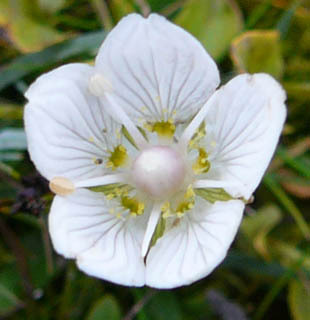 nectar guides and yellow-green nectaries at the base. 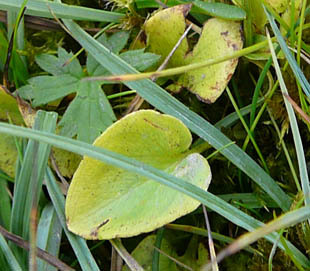 Normal leaves are stalked and heart-shaped. 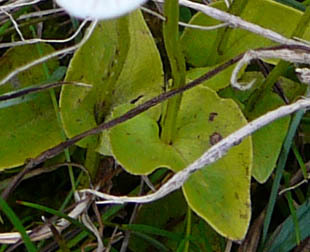 Stem leaves are sessile (unstalked) and clasp the stem.